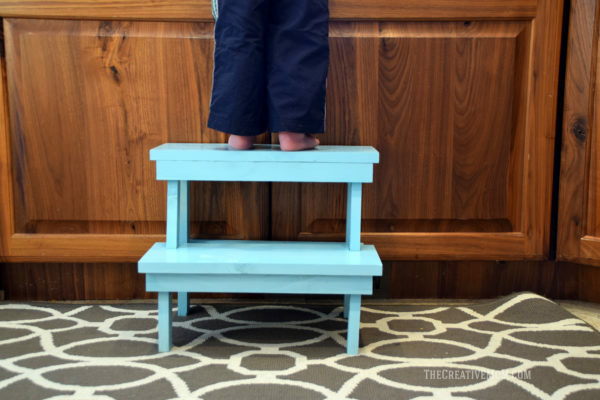 Our family has needed a good step stool (or two) for a while now. 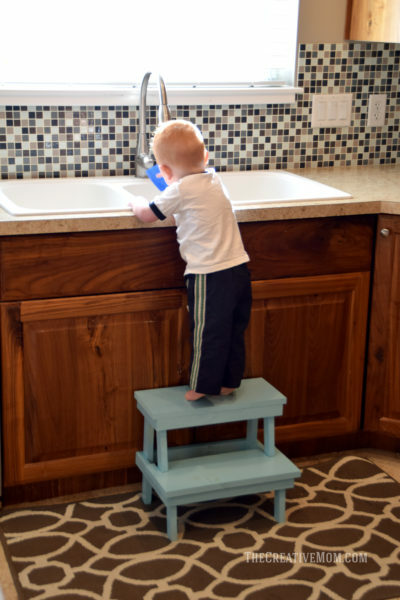 We have kids that are old enough to brush their own teeth, wash their own hands, and help with cooking- but we also have little ones who can barely reach anything at all! 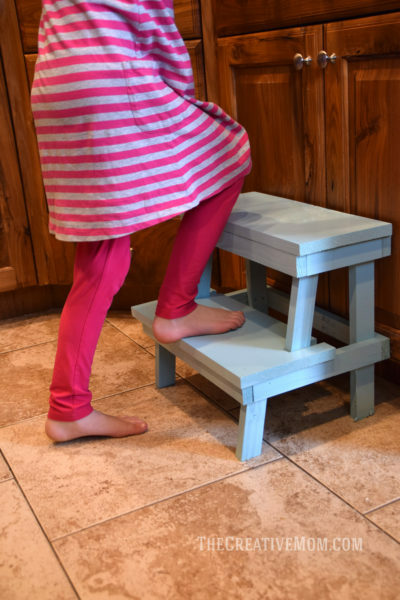 So I partnered with BuildSomething.com to design and built this step stool that is perfect for both little kids who need a big boost and big kids who just need a little boost. And let me tell you, my almost-two year old hasn’t moved off of it since I built it. Isn’t it darling? And those baby toes! Oh my goodness, give me all the baby toes! But really, this stool has changed this little one’s life. He drags it around the kitchen and stands by me, to help me do whatever I’m doing. It’s been so nice! 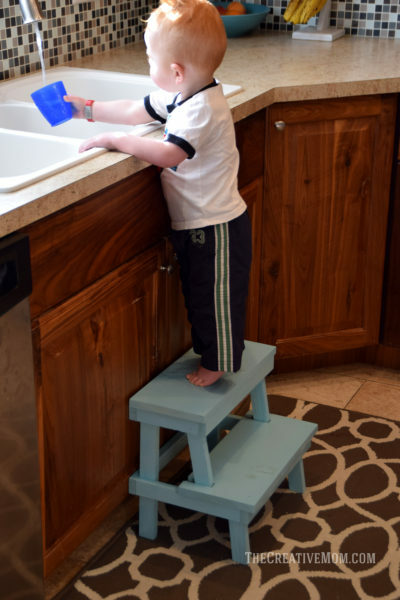 And my bigger kids like to use the step stool too. They like that they can be REALLY tall, or just a little. It’s the best of both worlds! I actually built 2 of the same step stools (one for the kitchen, one for the bathroom), and after everything, the two of them only cost about $15 in supplies. These plans are also pretty simple. If you don’t have a lot of building experience, this would be a fun one to try! 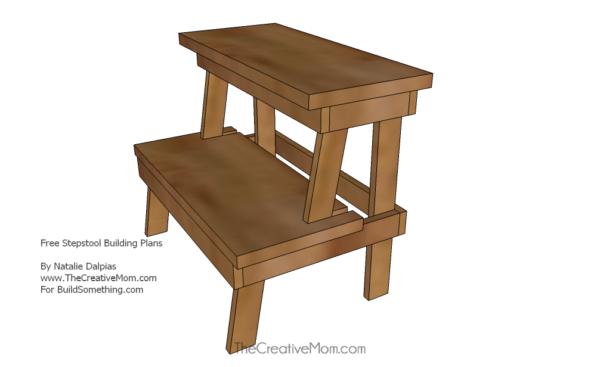 I am thrilled to have partnered with BuildSomething.com to design this step stool. Build Something is Kreg’s new building plan site (you know, the Kreg Jig people), and it’s my favorite place to go when I’m looking for plans to build! They have all sorts of free building plans, including a bunch that I designed (check them all out here). You can get this complete building plan for free on their site. I would love it if you would hop on over to BuildSomething.com and take a look at my plans I’ve drawn. Maybe you’ll find something you just can’t live without, and you’ll be able to build it yourself! Or if you’re looking for a project to build, I hope you’ll take a look at some of these I’ve built. 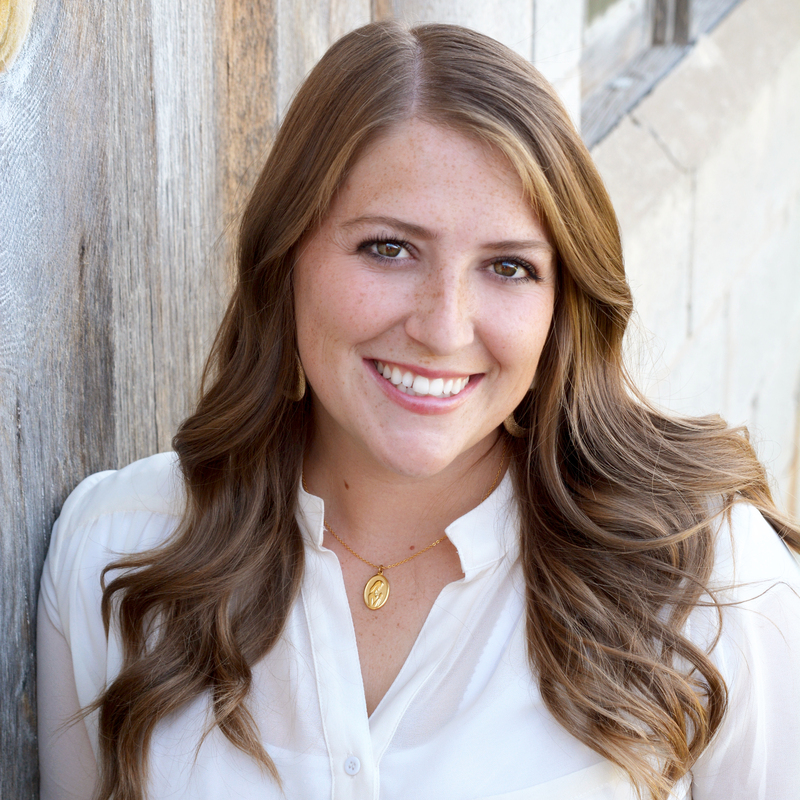 All of these projects have full (free) building plans and instructions!